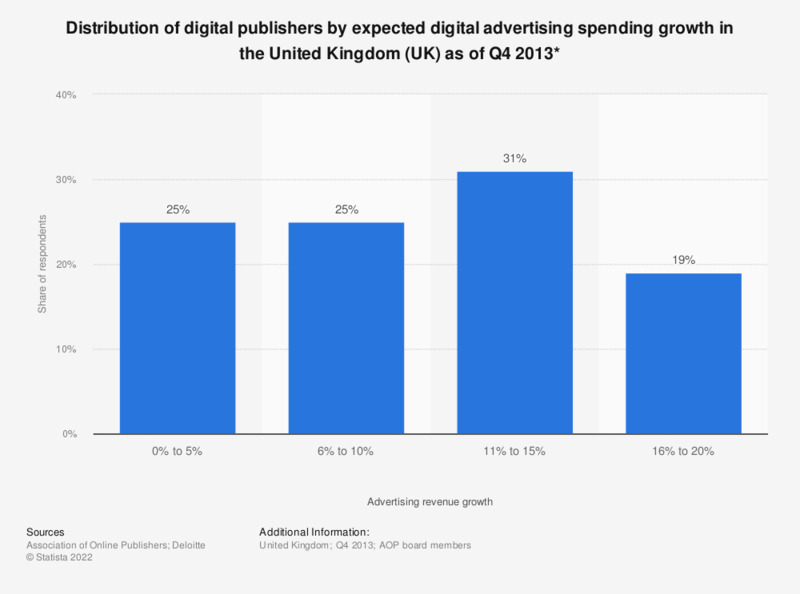 This statistic displays the distribution of UK digital publishers by expectation of advertising spending growth in the digital publishing industry over the 12 months following quarter four 2013. Most publishers, roughly 50 percent, expected less than 10 percent advertising growth in 2014 on 2013. How much do you trust InfoWars?